Nope it's not Tuesday. It's Friday! This weeks newsletter is on a different day beacuse I wanted to share with you KERMY! And today was my day to share. 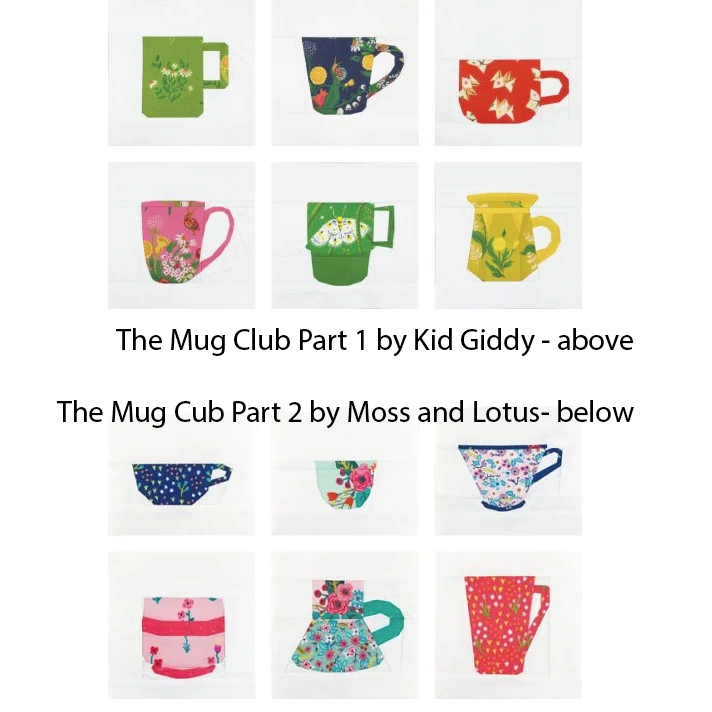 Back in July Kerry Goulder of Kid Giddy and her twin sister Sue of Moss and Lotus asked if I'd like to be a part of their Mug Club Sew Along on Instagram. Everyone was invited to sew one of their 12 mug patterns. Have a peak at these hashtags #TheMugClub and #TheMugClubSAL. These are all projects people have already sewn. Super cute right! I chose the bonus pattern Kermy that came with Kerry's pattern, The Mug Club Part 1. It truly was a no brainer. I have quite the soft spot for him and all things Sesame Street or Muppets. The pattern was a quick and easy sew, not to mention how tickled I felt as he came together. The longest part was the embroidery. offt! Doggie! But, totally worth it! I'm thrilled with my tea towel! ... and I got to use pom-poms so yay! And I even cleaned my oven for the photo shoot so double win! The second photo is of Kerry and Sue's mug patterns The Mug Club Part 1 pattern can be found HERE and The Mug Club Part 2 pattern can be found HERE! Aren't they adorable! People have put them on zippy pouches, made mug rugs... ooh! Wouldn't a pillow be fantastic! Really if you're in a pinch for a quick Christmas gift they're perfect! Sticking with the Kermy theme. RECOMMENDED FOR YOUR PLAYLIST: OKAY GO doing the MUPPET THEME SONG! Yayyy! OKAY GO does the BEST videos and this one is no exception. BUT WAIT! While I was down the rabbit hole that is YouTube I found this OKAY GO TED TALK, "How to find a Wonderful Idea". So good! (I love TED TALKS). P.S. Did you see the Quiltcon show announcements went out yesterday? My Fangirl and Cause you can't, you won't, and you don't stop quilts made it in!